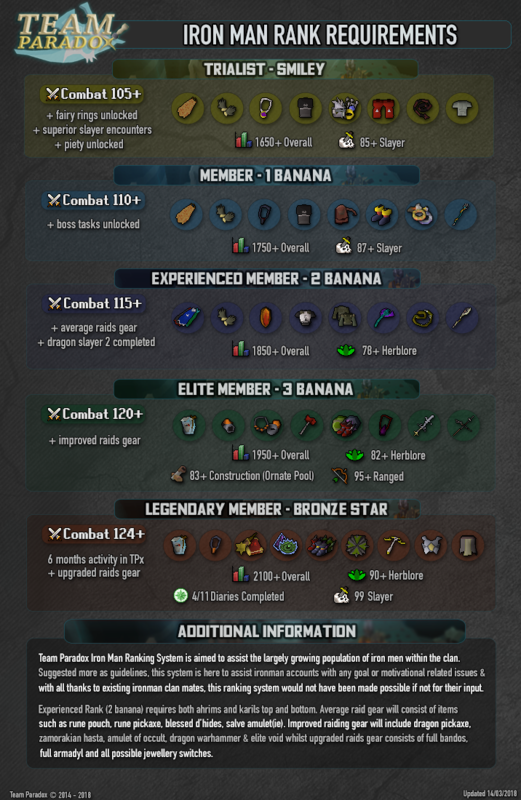 Team Paradox is an Old School RuneScape clan that aims to offer a truly enjoyable experience for members who are interested in not only PvM, but a wide variety of other game activities. This clan is great for experienced players looking for others to take on Raids and other brave adventures. It is also great for those who are in need of a helping hand in learning the mechanics of certain bosses. The clan was established on the principle of offering an active community for like minded players from all over the globe. We strive for a brotherhood, that not only plays for fun, but plays to help others improve. 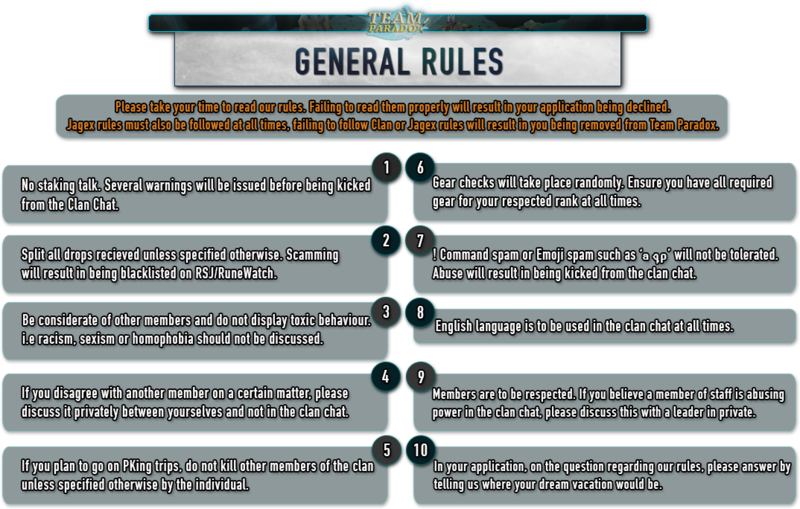 We host a safe discord server, and have established a well formatted rank structure in order to maintain the experience we aim to offer to our members. Applications are taken via our discord, we also highly urge members to idle in discord.